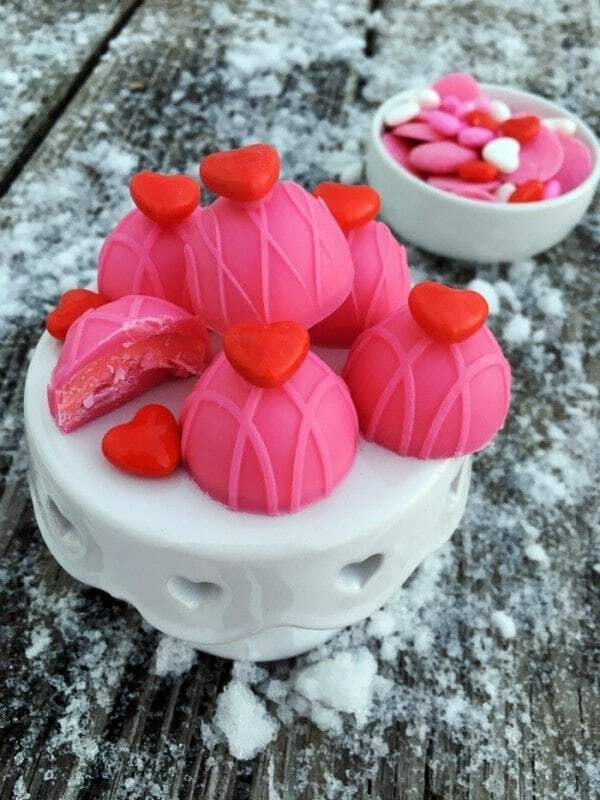 Show extra love by making your own Valentine candy recipe this year. Valentine’s day is around the corner. It’s the perfect excuse to make creamy, delicious candy. Make these candies that are sure to win over your sweetie's heart. A Wilton Candy Melt Pot is recommended to heat candy melts. If you do not own a candy melt pot, simply microwave candy melts at 50% for 30 seconds. Stir. Heat at 50% for 30 seconds. Stir. Heat at 50% in 15-second intervals and stir until completely smooth. Do not over heat. Using a spoon, slowly pour candy melts into each circular cavity. Rotate the mold from side to side, ensuring all sides are coated. Dip out any excess. The goal is to create a thin shell. Gently tap mold on the countertop to remove air bubbles. Place mold in freezer for 30 minutes. In a small mixing bowl, combine marshmallow crème and cream cheese. Add red food coloring until desired color is achieved. Remove mold from freezer. Add marshmallow crème mixture into each circular cavity. Pour a thin layer of pink candy melts on top of each cavity, creating an enclosure. Wipe any excess from the side. Remove mold. Gently pop each candy from the mold. 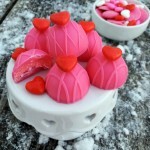 Add a drop of pink candy melt to small candy hearts and place on each candy. Place candies in freezer for 15 minutes. Get creative with the colors and flavors in these candies. You can change the toppings for different seasons, too. Get the kids in on the fun – they can help decorate once the candies have cooled. Candy recipes have always intimidated me a bit. Making a Valentine candy recipe seems quite overwhelming but, if you tackle it step-by-step and take your time, it’s a lot easier. Play around with the colors and have fun with it. That comes out very pretty. I’d be glad to eat these, but not to make them. Yum, these sound so good and look amazing!